Darnestown MD Resort Pool & Waterfalls - Land & Water Design, Inc.
Where some would see and empty lot, we saw potential. This newly constructed home in Darnestown, MD had numerous restrictions including a conservation easement, a septic system we had to work around, and a lot that was anything but flat. 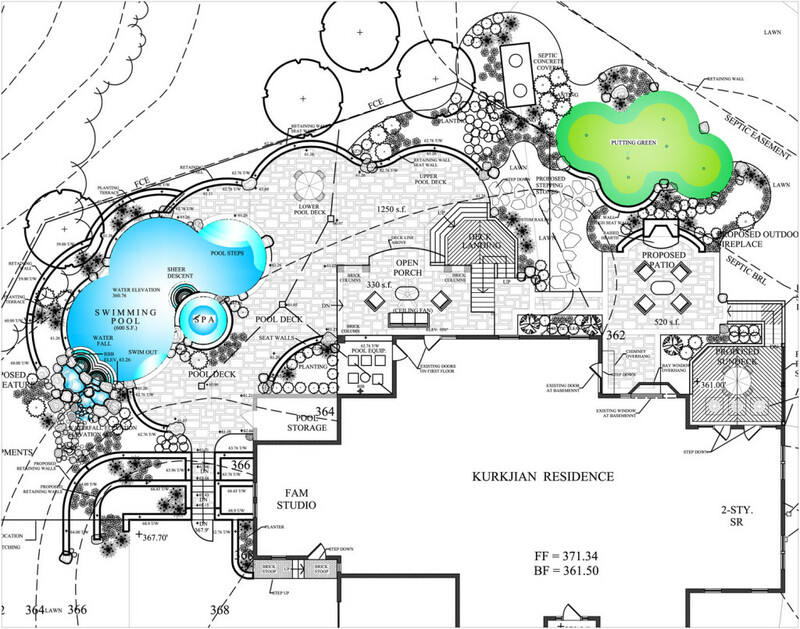 We knew that this could be a fantastic landscape design and pool project. With some swimming pool projects the challenging part – where to locate the pool – is decided for you by forces outside your control. That was the case with this project, but it led to some incredible opportunities to create lots of useable living space around the pool. We designed a spacious deck with living area beneath, ample Techo-Bloc paver pool decking, and lush plantings to create privacy and blend the new construction with the wooded lot. A site that backs up to the woods can call out for a natural swimming pool design, and that is what we did here. Sweeping curves wrap around a central spa. Boulders set into the bond beam are backed by lush plantings and the mature trees beyond. What’s a naturalistic pool without waterfalls? 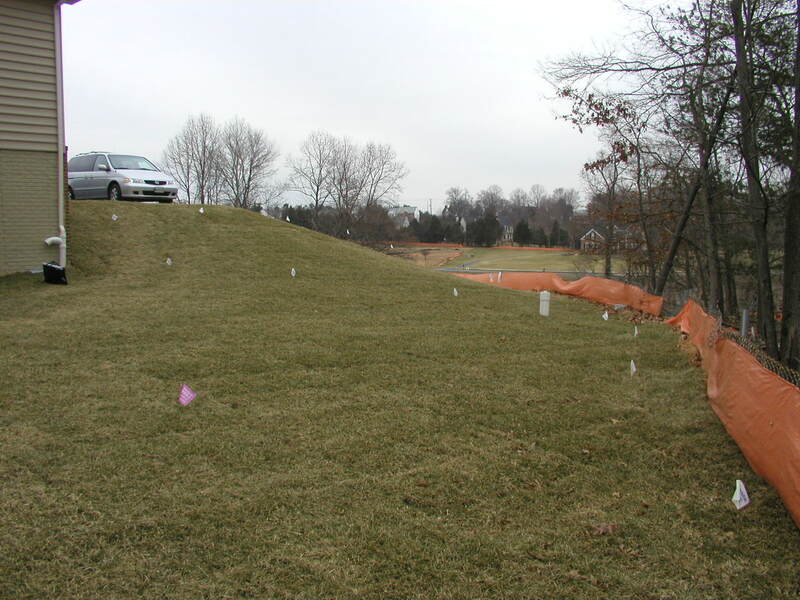 We could not “pass up the chance” to use the contours of the site to our advantage. A hillside full of massive boulders forms a streambed that flows down the hill, before splitting into two waterfalls that spill into the pool. 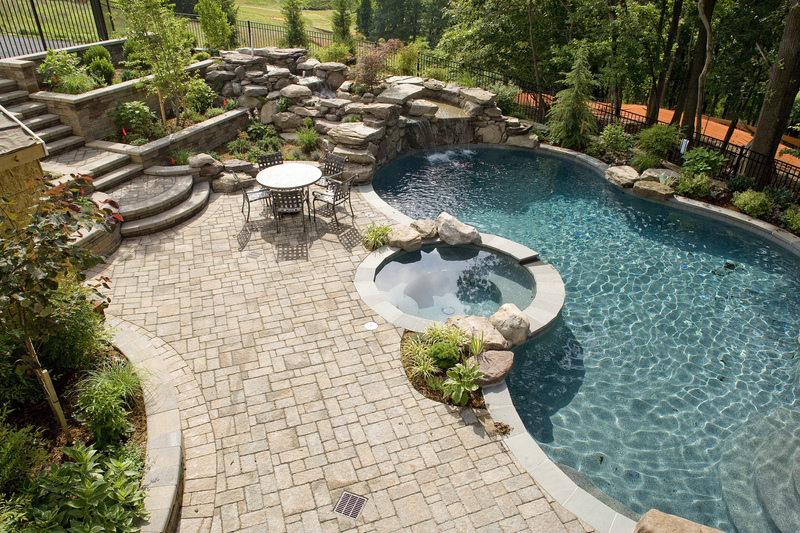 Have you been waiting for the right time to create your dream backyard? That time is now! Contact us and let’s start planning for your ultimate getaway at home.